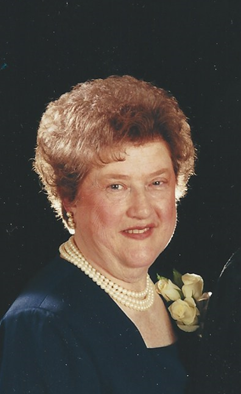 Sylvia Ann Johnson Abanto, 76, passed away peacefully on Jan. 22, 2019 in Cincinnati, Ohio. She was born to the late James Boyd and Melsie Faye Johnson in Loudon County, Tennessee. She resided in Lenoir City, Tennessee until she traveled to Cincinnati where she met the love of her life and celebrated 52 years of marriage. She leaves behind her husband William, her sons John, Luis (Angie) and daughter Julia (Robert). Her precious grandchildren Alexis, Cori, Kaitlyn, Max and Simon and her adorable great granddaughter Allie. She is survived by her beloved sisters Betty, Sharon (Bill) and brother Jim (Karen). Along with many loved nieces, nephews, great nieces, great nephews and cousins. All of these she loved and touched deeply. She will be remembered as being a loving, generous person and was always ready to help anyone in need. She was extremely devoted to her family and enjoyed spending time with them. She loved to travel and was able to visit many countries and go on several cruises. She loved attending musicals and plays. Sylvia made friends wherever she went and was loved by many. She will be missed terribly but we take comfort in knowing she is no longer in pain and is at home in Heaven. Followed by a 10:30 AM Mass of Christian Burial at Our Lady of Lourdes Church.